The purpose of writing a research report is to maintain a record of the research work you have done. 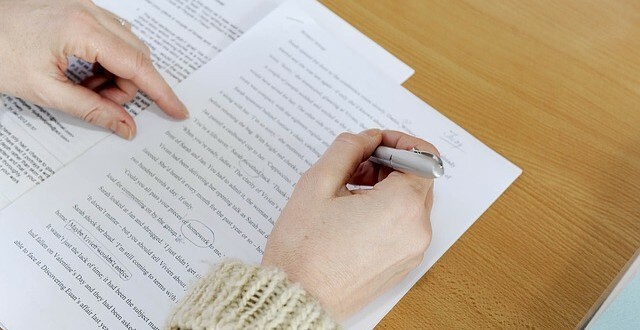 The written manuscript enables the reader to get in-depth information about the methods, tools and techniques used in your research and the findings of your research. Therefore, having an organized written manuscript after the successful completion of the research work is necessary. The researcher presents the research report in front of the jury who approves the research and brings out any questions or recommendations for improvements. The research report needs not to be published but if it is a research paper it might need to be published too in a research journal. There are generally the following parts of a research report, it represents a general guideline. You need to confirm the standard organization of research report that is acceptable in your university or institution. The title page of the research report contains the title of the research report, author name and the name of the institution. Keep the title page simple and well organized. You also need to place a monogram of your university or organization. The font size and alignment should be kept according to the standards of the university. Usually everything on the title page has center alignment, It keeps the information more visible and attractive. The purpose of the title page is to know about the title of the research, you should not apply borders or headers etc in the title page. A table of contents is the next page in the research report. It gives a detailed account of the chapters included in the research and their respective page numbers, as well as the order in which they appear in the research report. While finally writing a research report check each and every page number against the chapter and the headings so not to make any mistake. Abstract appears first in the research report, but it is actually written after the completion of the research. When the research concludes the research and its findings, he can write the abstract of the research report. An abstract is the crux of the research and it is written in the beginning to give some know-how of the research to the readers. The introduction of the research report describes in detail about the terminologies and the concepts of the research report. It gives reference from other authors to describe every concept of the research in a better manner. The introduction also gives an account of the significance of the research. The researcher reviews literature related to his research topic and he describes and write down all those reviews in this section of the research. He might review lots of literature, but he needs to put only those that are closely related. Those reviews should be added that can help a reader understand what has already been done in this field of the research. The researcher writes the review so that he and the readers get to know about the gaps of knowledge that this research can explore and fill possibly. Material and methods section of the research is a concise and precise section that deals with the sample, sample size, population, tools, techniques and procedures of the research. It also describes the statistical procedures that the researcher has used and the method to edit and analyze data. Results and discussion can be one section and sometimes they are written as two separate sections. The results represent the findings of the research. The researcher usually present them in the form of tables and graphs. The discussion section of the research elaborates and analyze the results of the research. The researcher should write the results of the experiments etc. in past form as to show that the process has already been done and it is a narration of the process and the result. The discussion section can have several references from other authors in order to highlight the results and improve their credibility. In some research reports, there is a conclusion at the end of the research report, while in other the abstract is thought to be enough to represent the summary of the research. The conclusion, however, is different from the abstract. Abstract brings out the crux or summary of the research. On the other hand, conclusion is to finalize the findings. The literature that has been reviewed throughout the research should have full references. The writer or the researcher should provide references within the text, which is called as in text citation. He should also give full references at the end of the research in the last section.